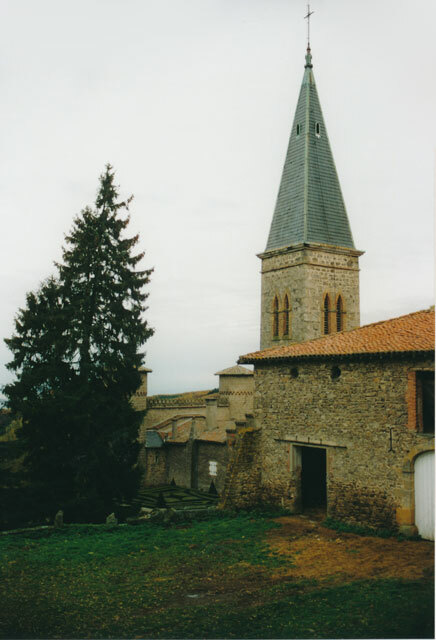 Saint-Bonnet-le-Froid is a complex of ancient buildings, including a castle once occupied by Benedictine monks, a chapel, and formal gardens. In the mid-nineteenth century, the property was owned by Adolphe and Marguerite Blanc de Saint-Bonnet. When Eymard was undertaking the massive task of writing his Constitutions for the Blessed Sacrament Congregation and the Servants of the Blessed Sacrament Congregation, he suffered much ill health. 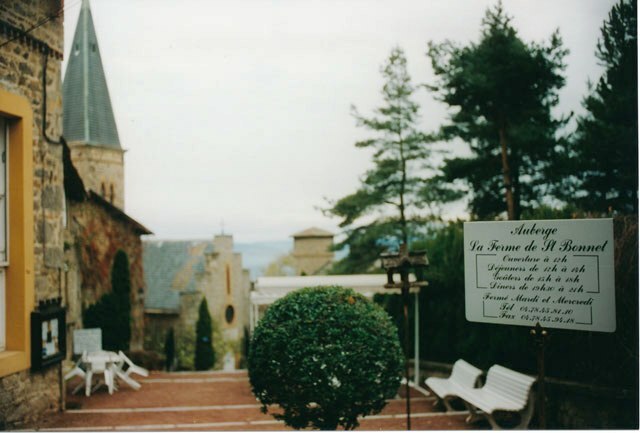 In October 1863, he stayed with some of the family of Fr Michael Chanuet (a younger member of the Congregation), whose brother-in-law had a residence in the countryside at Saint-Bonnet. Eymard’s health immediately improved at Saint-Bonnet and he made great progress with the texts. ‘Work is easy for me here’, Eymard said. ‘I’m working as I have never worked’. He extended his stay to a month at Saint-Bonnet, living like a recluse in what he described as ‘perfect peace, solitude, and devotion’. Marguerite Blanc de Saint-Bonnet was Fr Chanuet’s sister. Her husband Adolphe (1815-1880) [Antoine Joseph Élisée Adolphe Blanc de Saint-Bonnet] was an influential French philosopher in the mid-nineteenth century, but he is not widely known today. Among his many works, Blanc de Saint-Bonnet produced a study of the relationship between pain and virtue (De La Douleur, 1848). He also developed theories of papal infallibility ahead of the Catholic Church. Eymard described him as ‘a wise counsellor who is close to God’.